My prediction is that sometime next year Apple will announce the 100 millionth iPhone OS device sold, making the iPhone the fastest selling platform in history. The iPhone will have been on the market for three years. 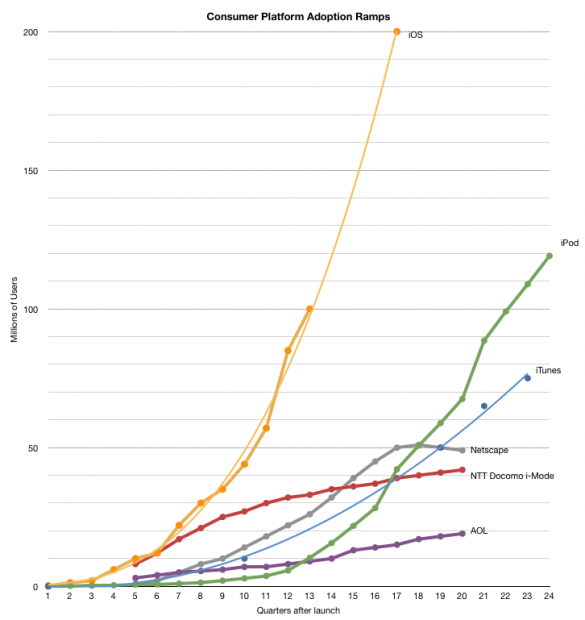 via asymco | One Hundred Million.